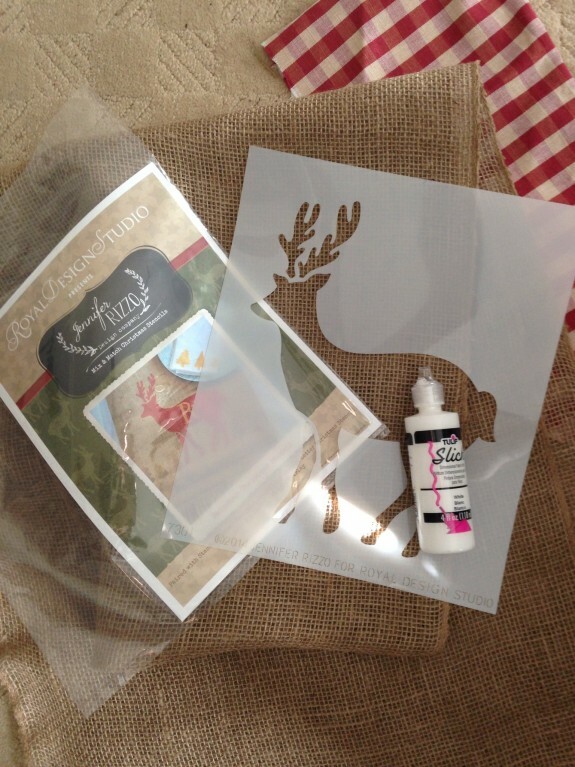 I’m so lucky to work with the good folks at Royal Design Studio and when they invited me to review one of their Christmas stencils, I jumped at the chance of course! 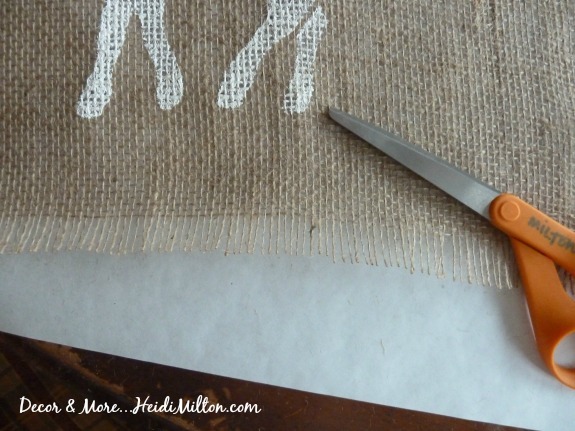 I snagged that roll of burlap at the craft store few weeks ago and had visions of using it for a table runner…once I chose my stencil the plan came together. Love it when that happens! All I had to do was cut it to the desired length, leaving a bit more on each end to fringe. 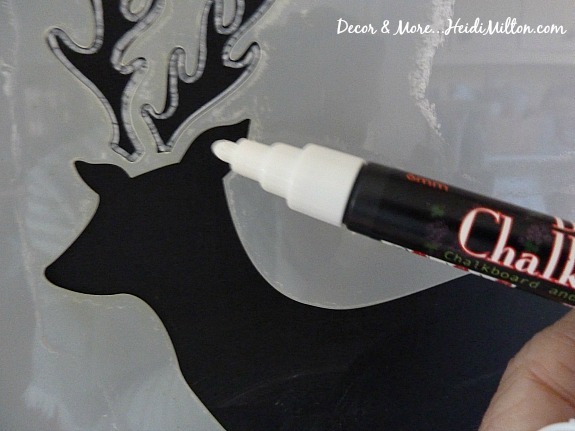 Then I pulled out my white fabric paint, this fabulous Reindeer Christmas Stencil from Jennifer Rizzo’s Creatively Christmas line of stencils, and a small foam roller. 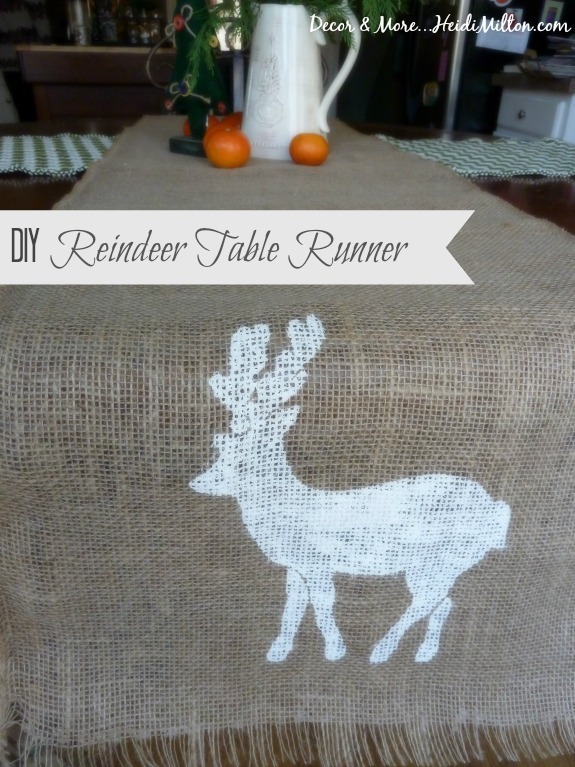 I used two coats of paint and stenciled one reindeer on each end of the runner. After it dried, I fringed the ends and trimmed them evenly. Sharp scissors are key for that step! 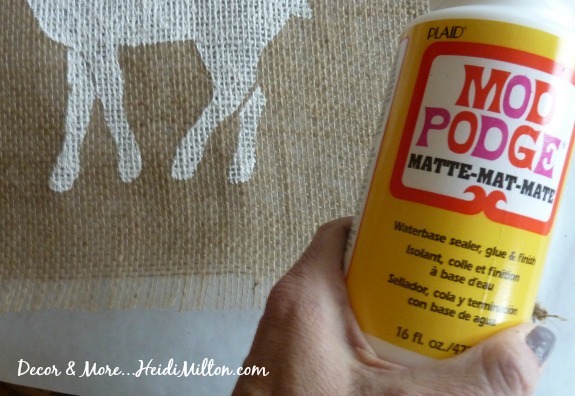 Then I added a thin layer of Mod Podge where the fringe begins. This keeps it from fraying further. All that was left to do was add it to my table! I layered it over a fun green houndstooth runner I found at Target last year. While I was playing with this on my kitchen table, I spied my chalkboard by the back door and decided to have a little fun there, too. 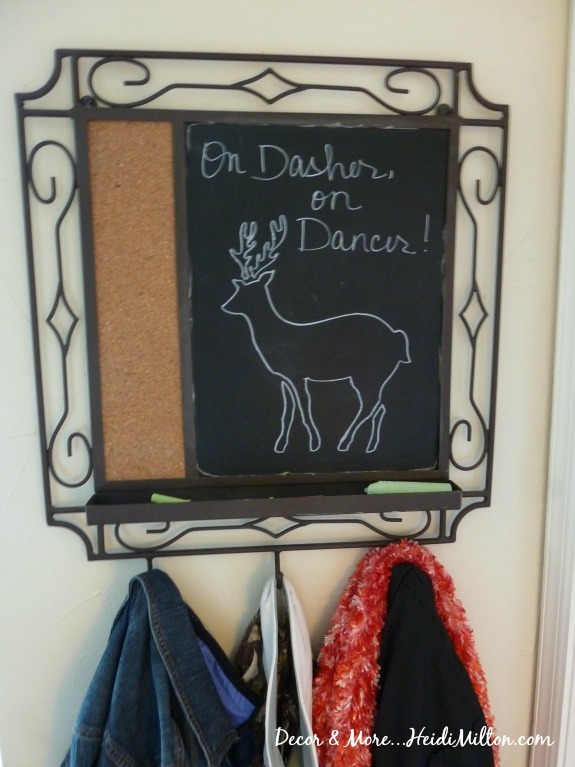 On Prancer and Vixen! That took about 60 seconds to do — my kinda project! Royal Design Studio has top quality stencils — over 650 designs to choose from! And their designers make sure the latest design trends are covered creatively in their products. 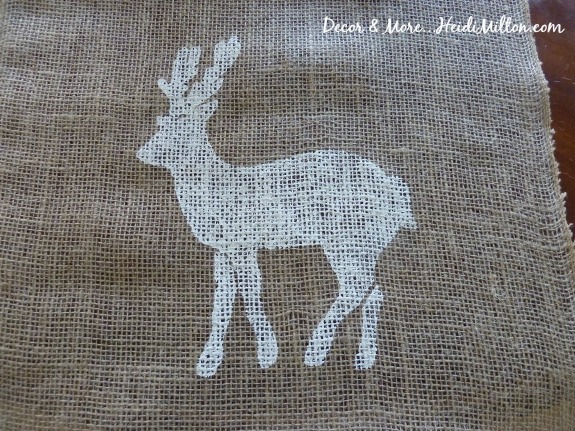 This year they partnered with Jennifer Rizzo for their Christmas stencils – I had such a hard time choosing among them! 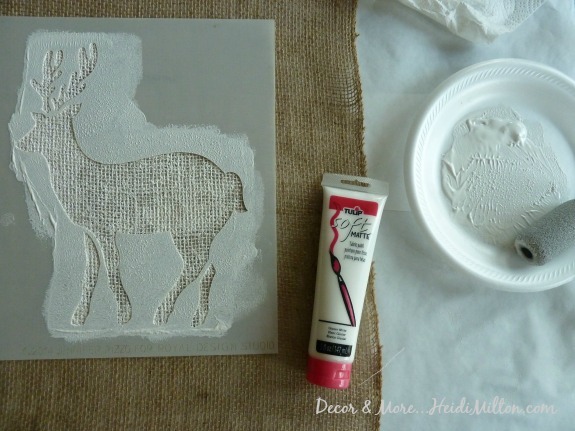 The Reindeer Christmas Stencil was perfect for what I had in mind, and it’s popped up in a couple of other projects I’ll share next week. 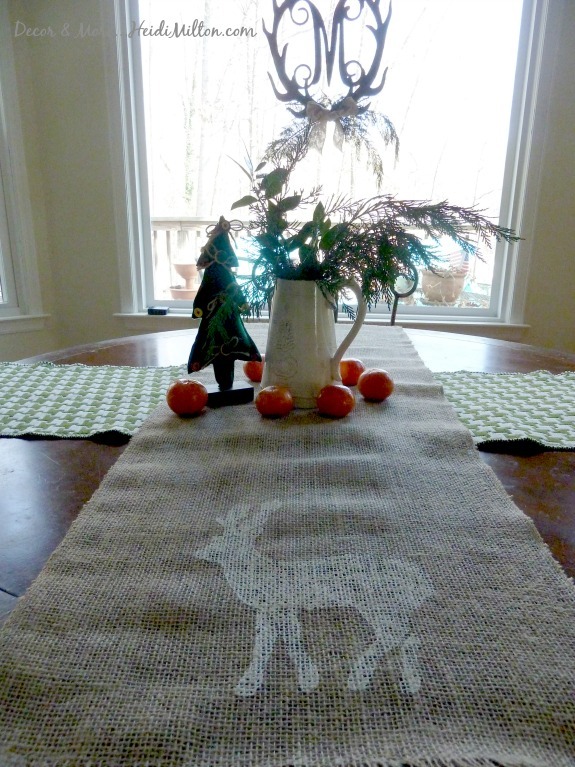 The nice thing about the reindeer is that it transitions nicely into winter decor once the holidays are behind us. I love it when one simple thing sparks a variety of ideas. The good folks at RDS ship very quickly, so it’s not too late to choose a fun stencil for your holiday decor! I’ll be back tomorrow with another Five on Friday and this time it’s the Teacher Gift edition. I’ll be sharing what I love to receive from my students so if you’re in need of ideas, stop by! Have a great day! I was provided a stencil to review for this post but all ideas and opinions are strictly my own. 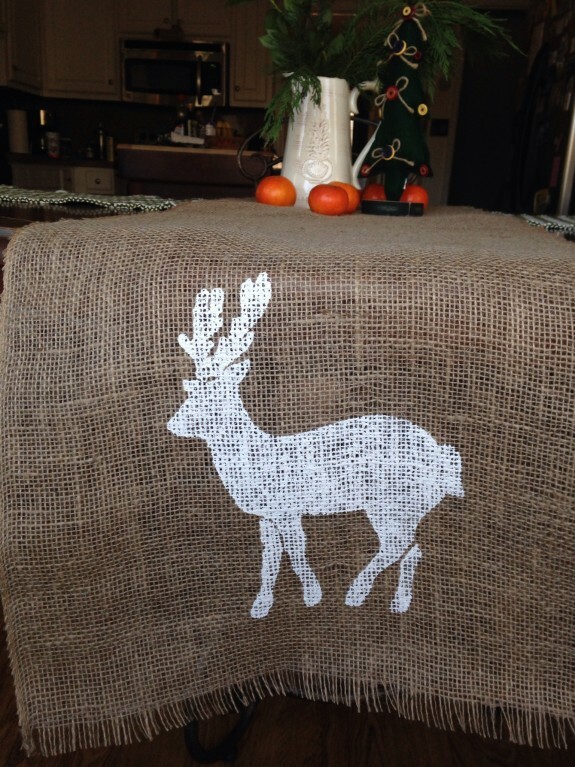 Heidi…great job on the runner….love that reindeer design!….